Established in the year 2000 in Brazil, Ocean Films has grown to become one of the leading and most experienced production service companies in South America. 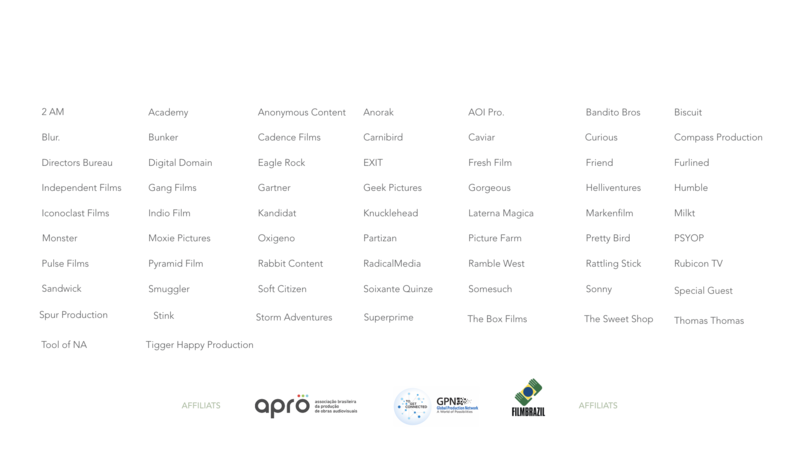 Over the years, we have worked with the most important clients and production companies around the world. We have shot many Lions – winning commercials, and have worked in the most diverse landscapes and conditions. From our offices in Rio de Janeiro, São Paulo and Florianópolis, we not only provide production services for Commercials, TV & Feature Films, but we also develop our own content, having produced documentaries and TV shows that have been aired in all of the Americas and Europe. Our friendly and trained bilingual crew has lived and worked abroad, and engage in different cultural activities such as photography, music, painting, and, (needless to say) cooking!